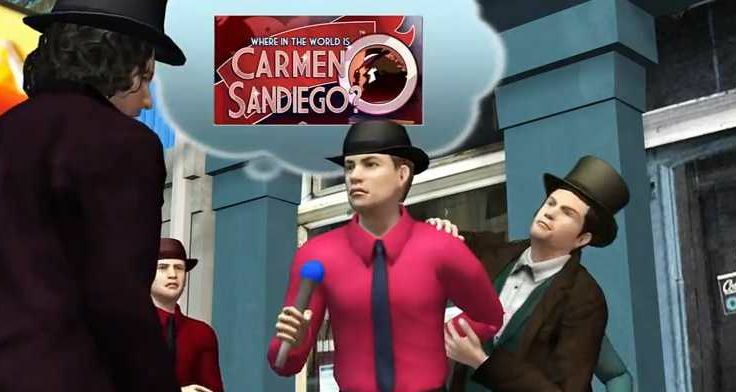 Could the real Carmen Sandiego movie ever match this Taiwanese animated trailer? Earlier this month, it was announced that a live-action movie was in the works for Where in the World is Carmen Sandiego?, the popular game that became a television hit as both a game show and animated series. Jennifer Lopez was attached to produce and potentially star in the film about a globe-trotting thief. It was only a matter of time before the news got the Taiwan animation treatment, but rather than offer up a straight-up report on the announcement, Next Media Animation has created their own version of a trailer for the film. A mash-up of Sherlock Holmes, Iron Man, and Ace Ventura movies with a dose of The Oregon Trail game added to the mix, the trailer has to be seen to be believed. After watching it, we’re fairly certain that the real Where in the World is Carmen Sandiego? movie could never, ever be as good as the one teased in this animated trailer. Heck, they even make sure to include Rockapella.